Summer is the perfect time of the year to enjoy strawberries. Add them with grilled chicken for a lightweight appetizer that is fresh and crunchy. 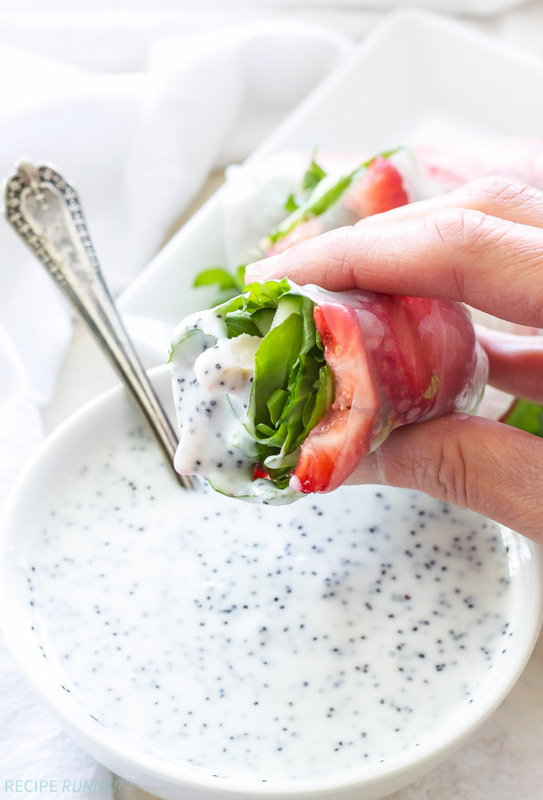 This recipe even includes a homemade poppy seed dipping sauce that adds some great flavor to the dish. 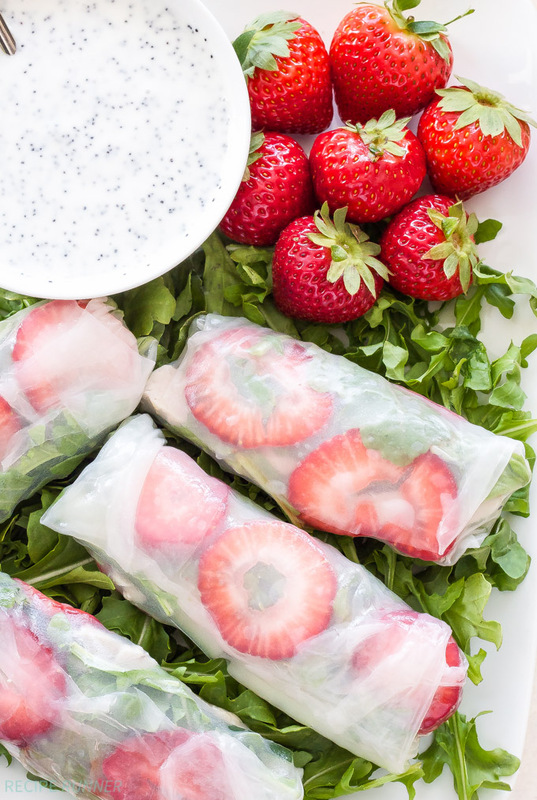 These eye-catching spring rolls will be the star of the show at your next dinner party. To make the dressing, add all of the ingredients into a small bowl, then whisk together until combined. Cover the bowl and refrigerate until ready to serve. Whisk again if necessary before serving. On a cutting board or in small bowl lay out all of the prepared spring roll ingredients. Fill a bowl large enough to fit the spring roll wrappers with warm water. 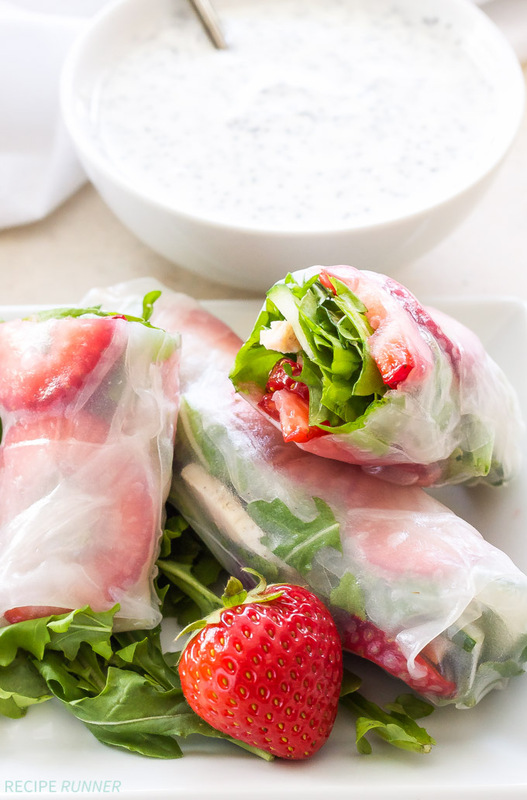 Dip the spring roll wrapper into the water and let it soak for about 30 seconds. Remove the wrapper from the water and let the excess water drip off, then place it on a clean cutting board. Place 2-3 strawberry slices on the bottom third of the wrapper leaving about a 1-inch border on all sides. Add some of the arugula next, then 2-3 slices each of the chicken and cucumber. Season with a pinch of salt and pepper. 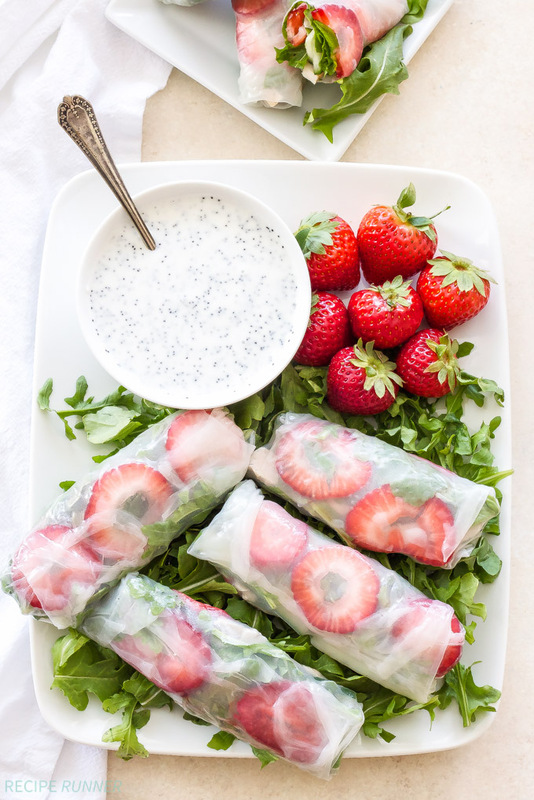 Top with a few more pieces of arugula and 2-3 more slices of strawberries. Adjust these amounts if the spring rolls look too full, you don’t want to overfill them or the wrapper may tear.